Earlier this month, Charter in the St. Louis area added Jewish Broadcasting Service (JBS), on Channel 717, to its Spectrum silver and gold cable packages. In addition, JBS is available to Direct TV customers on Channel 338. 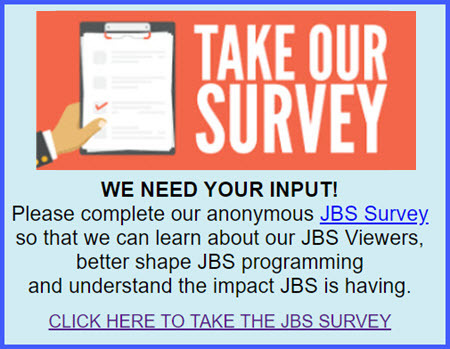 Broadcasting 24 hours a day, JBS presents news and analysis from and about Israel; event coverage of major Jewish conferences, addresses and lectures; an array of Jewish Studies programs, including a series where viewers can learn to read Hebrew or study Talmud; and programs for Jewish youngsters. For those unable to attend synagogue, JBS broadcasts live Shabbat services every Friday evening, as well as High Holiday and festival services.